National Cocktail Day – Live. Simple. Good. Today is National Chocolate Covered Raisins Day so I decided to make them at home… the chocolate covered part… not the raisins. Right as I was slowly melting the chocolate chips on the stove my husband called and BAM! I overcooked the chocolate… yes I blame him! Haha! 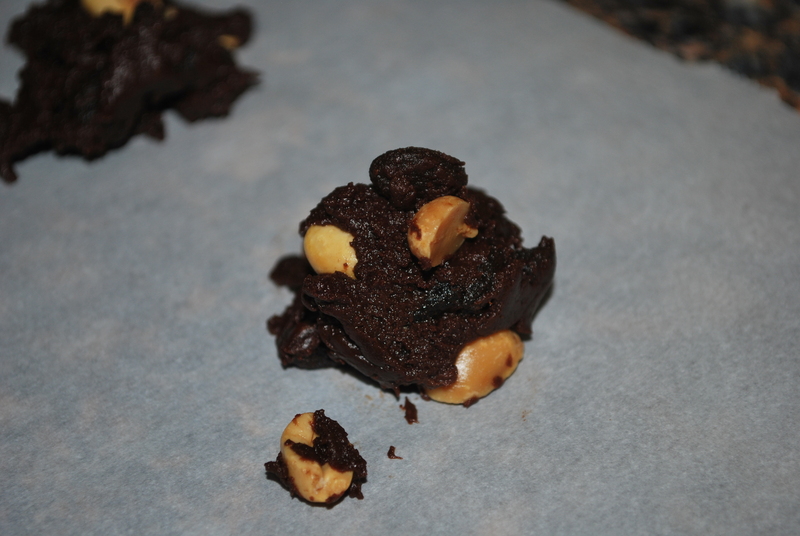 They tasted OK but didn’t look very appealing… I added some peanuts hoping to pull off a cluster but then they looked even worse… Can you say Happy Poo Day? With this failed attempt I switched holidays…And celebrated National Cocktail Day instead… with no alcohol. 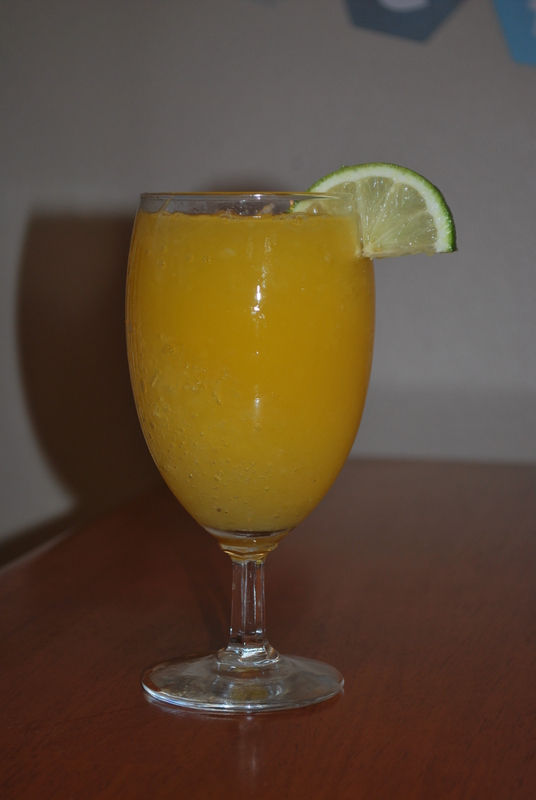 I tried this recipe for an Orange-Lime Relaxer but had to improvise since I don’t have Sprite. 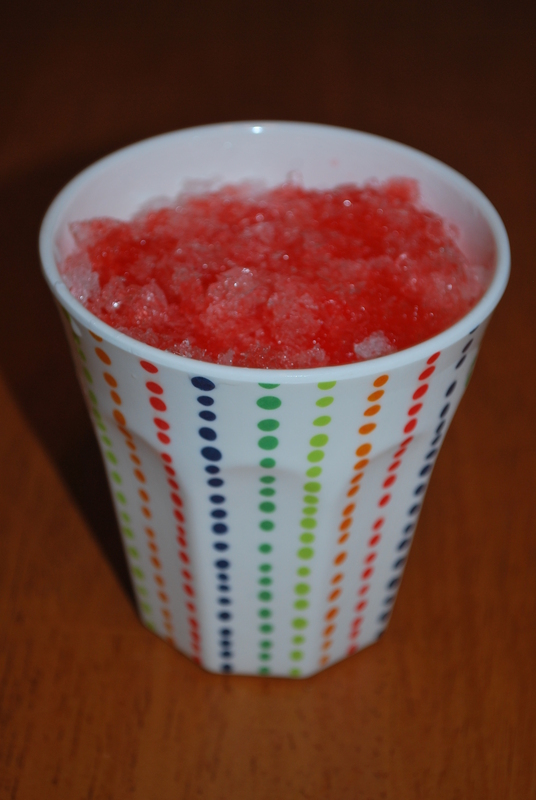 I used an Izze sparkling clementine drink as a replacement and used our Rival Sno-Cone machine to add some shaved ice. It was a little on the orangy side so the Sprite likely would have tasted better but it was still fun to try. It looks pretty though doesn’t it? 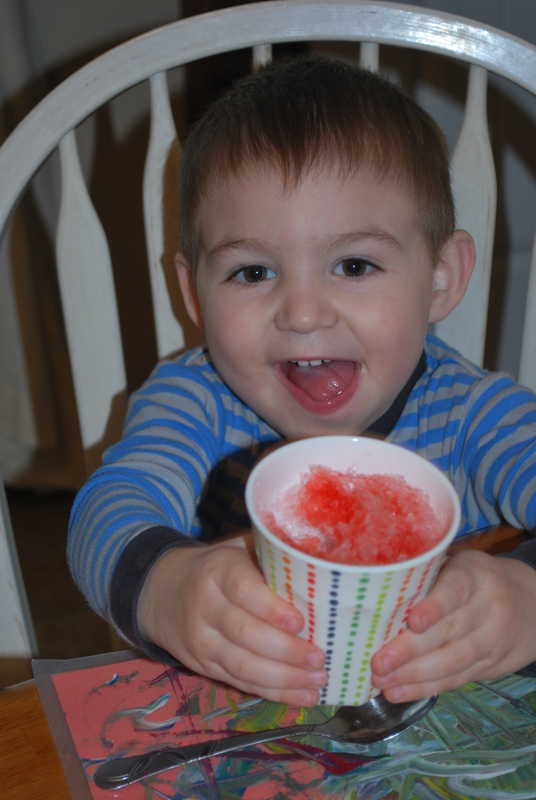 I made Jeff a Hawaiian Punch sno-cone to go along with the cocktail celebration. Showing off his icy drink. 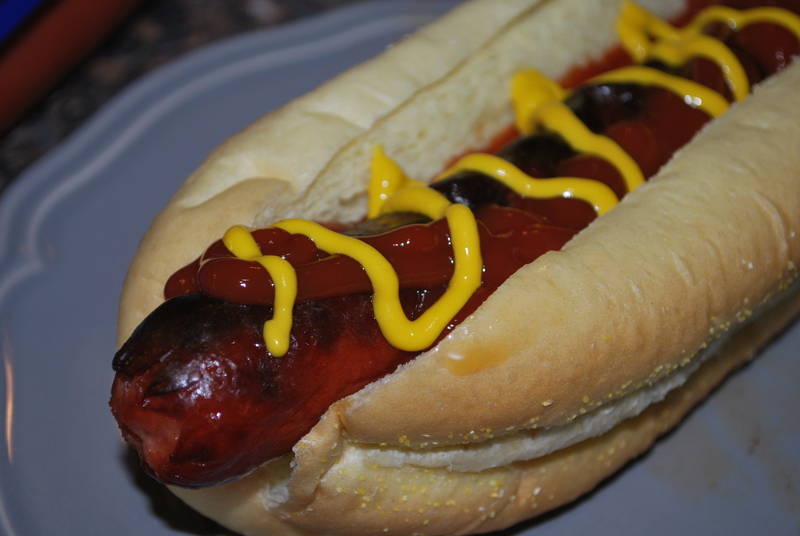 Anyways, I have spent my life microwaving them – tonight we broiled them! Who would have thought!? They were perfect – with a nice crisp skin! I guess we can get rid of our grill now (Just kidding). 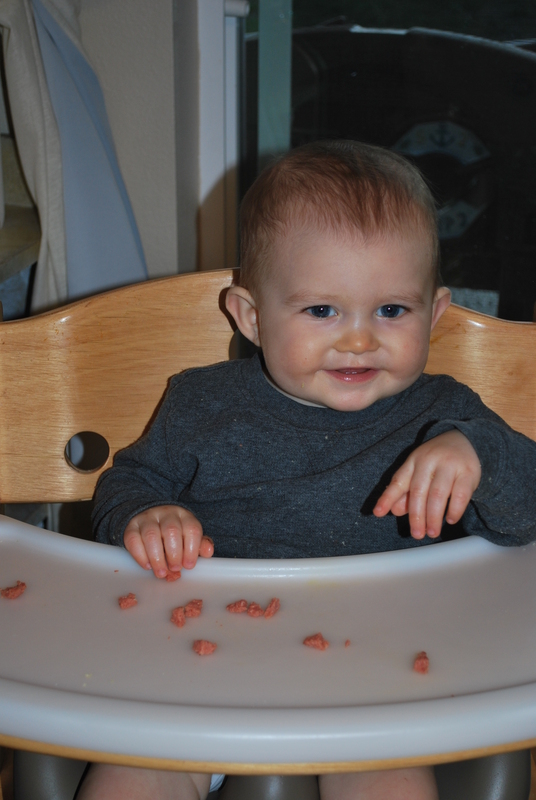 Even Jack loved it – although all the crispy skin was removed so he wouldn’t choke.